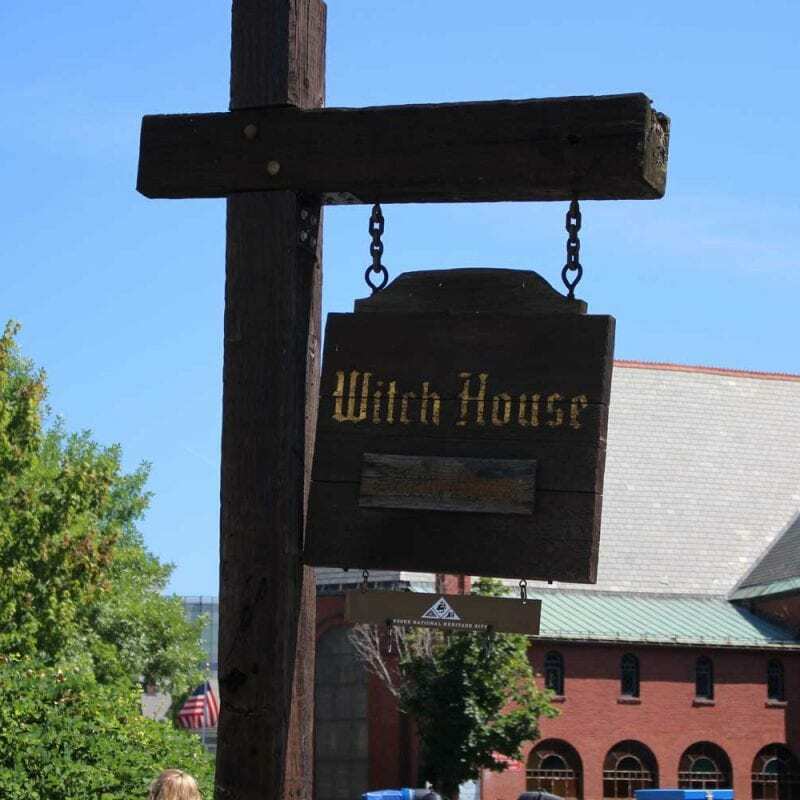 The only structure still standing in Salem that has a direct connection to the witchcraft trials and is open to the public is the Witch House, on the corner of Essex and North Streets. This home, built circa 1675, was the residence of Judge Jonathan Corwin in 1692. Along with his friend and fellow judge John Hathorne, Judge Corwin presided over many of the examinations of the accused and their accusers, both before and during the trials. Some of the questioning took place in the Salem Village Meetinghouse (Tituba, Sarah Osborne, and Sarah Good were examined there from March 1-5), the Salem Town Meetinghouse, and local taverns. For years, many believed examinations also took place in this home on Essex Street, but there is no evidence to support that theory. March 15-November 15, 10-5 daily (last entry is 4:45) November 16-March 14, Thursday-Sunday, 12-4 Guided House Tour: Adult $10.25; Senior $8.25; Child (7-14) $6.25 Self-Guided House Tour: Adult $8.25; Senior $6.25; Child (6-14) $4.25 Children under 6 are free. Corwin usually let Hathorne take the lead in the examinations, but the two together were unrelenting in seeking confessions of witchcraft. Both clearly thought all were guilty of the charges from the start. Corwin was a principle figure in the pursuit and questioning of former Salem Village minister, Reverend George Burroughs. Judge Corwin received a strongly argued letter from Salisbury’s Major Robert Pike in September of 1692, in which Pike questioned the use of spectral evidence to convict people of witchcraft. The letter did not seem to change Corwin’s mind. As with others involved in the pursuit of “witches,” Corwin didn’t escape a personal connection. One of his own children was thought to be afflicted early in the witchcraft “outbreak.” In addition, his mother-in-law, Mrs. Margaret Thatcher, was accused of witchcraft by one of her servants, although she was never arrested. It helped that she was a wealthy woman who was also related to one of the judges. 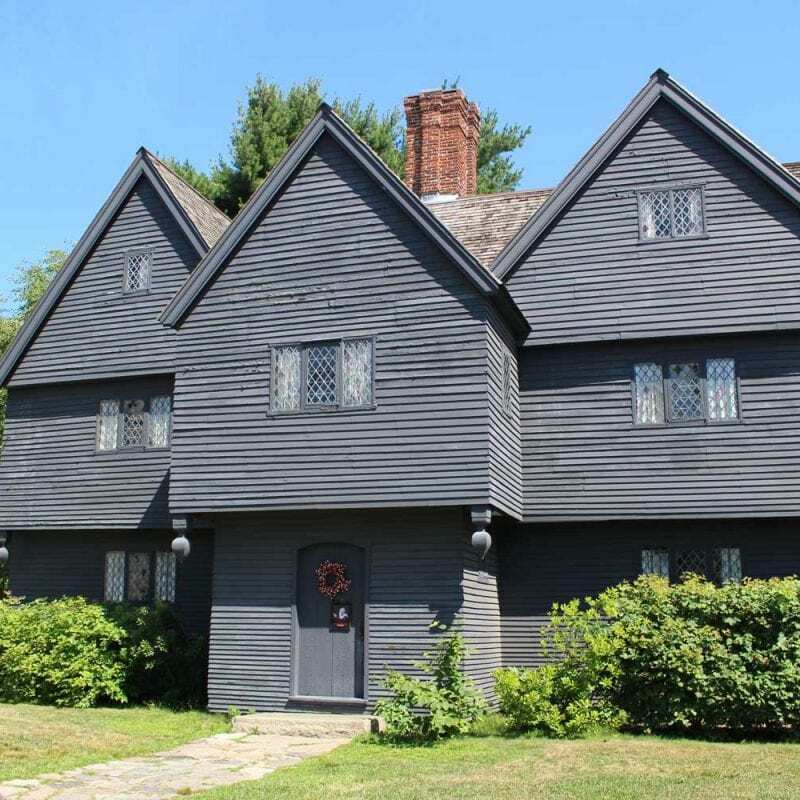 Corwin, who was born in Salem in 1640, was a merchant who purchased this house in 1675. Corwin served as a Deputy to the General Court and on the Safety Council. In addition to his close friendship with John Hathorne, they were also brothers-in law (Corwin’s sister Abigail married Hathorne’s brother Eleazor). In 1690, Governor Simon Bradstreet sent both Corwin and Hathorne on a fact-finding mission to Maine and New Hampshire, to assess the strength of the garrisons against Native American attack. After the witchcraft trials, Corwin served on the Superior Court and as the judge of Probate. He never showed remorse for his actions of 1692 and died in 1718 at the age of 78, very rich and respected. He is buried in the Broad Street Cemetery in Salem. Additional note: The property on which the Witch House stands is thought to be where the early 1630s home of Roger Williams once stood. Williams, who was the acting pastor of the Salem church in 1634, believed that Native Americans should be paid for their land and that Church and State should be separate. These “diverse, new, and dangerous opinions” did not sit well with the Puritan leaders, and he was convicted of sedition and heresy. Williams ended up fleeing south in January of 1636 and eventually founded Rhode Island. It is Roger Williams’s statue on top of the State Capitol building in Providence, RI. Additional note: In the 1940s, the City of Salem wanted to enlarge North Street, which would have required the demolition of the old Corwin House, which, in the mid-1940s, had a storefront attached to the front. A group of citizens raised $42,000, to save both this house and the neighboring Bowditch House. Both houses were moved. 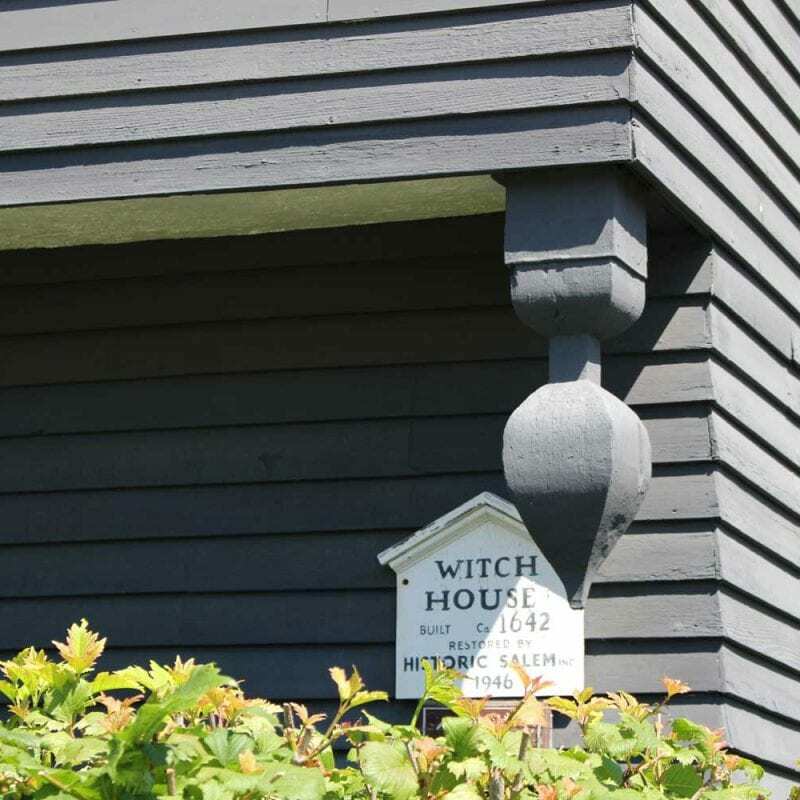 The Witch House stands about 35 feet back from its original location, on a foundation created to stabilize it. The Bowditch House is next door. This historic preservation was the beginning of Historic Salem, Inc., founded in 1944. The Witch House opened as a museum in 1948. 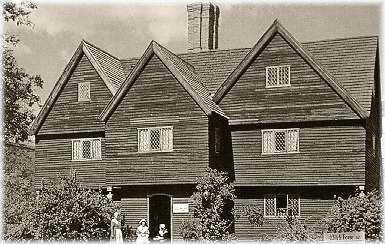 The Witch House never had any accused witches living in it, but it does offer a fascinating glimpse into the daily life of a person of means in 17th Century New England. Open to the public, there are guided and self-guided tours available.